Roth 365: Or Am I a Muppet? Or Am I a Muppet? The eyes are the window to the soul. But what if you are wearing sunglasses and no one can see your eyes? Does that mean no can see your soul? What if you don't even have eyes? 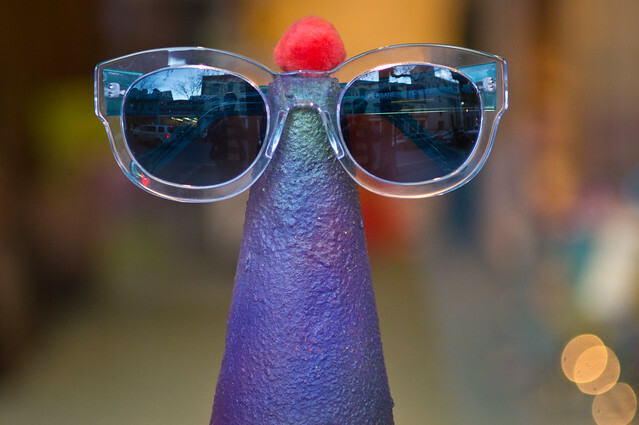 What if your head consists of a purple somewhat conical thing with a red puffy on the top, and you are wearing sunglasses? Then what?